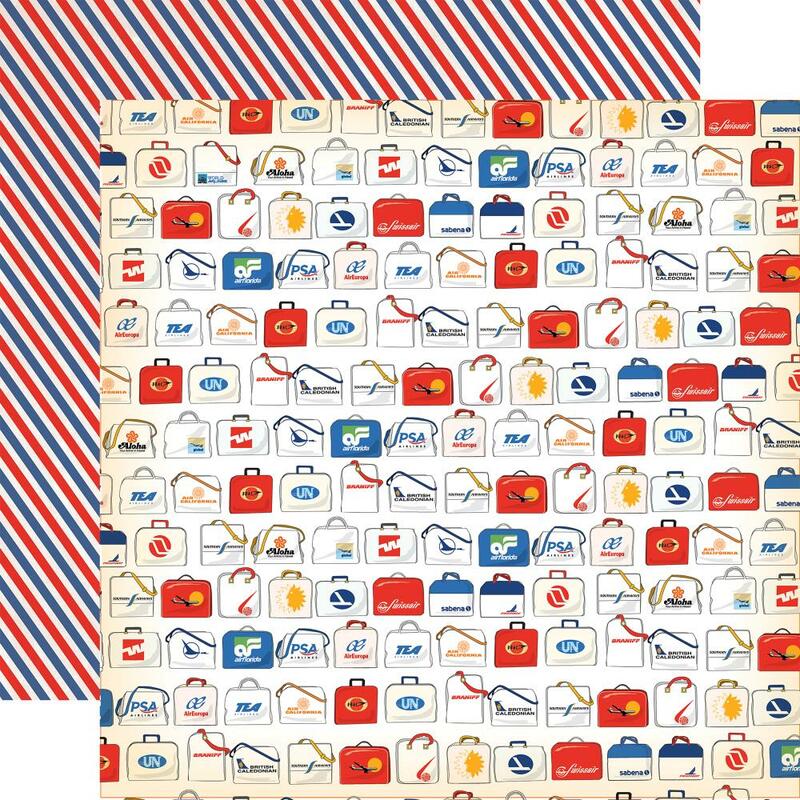 This 12x12 double sized and Textured Designer Paper has rows of Travel Bags on the frontside while the reverse side has a diagonal stripe in Red, White & Blue. Part of the Passport Collection by Carta Bella. Look for coordinating products - Decorative Dies, Frames & Tags Ephemera Diecuts, Chipboard Accents and Passport Collection Kit.